SAN FRANCISCO, May 3, 2017 – BuzzBoard, the largest intelligence engine around small and midsize businesses (SMBs), announced today the hiring of Lem Lloyd to the role of Senior Vice President of Revenue and Business Development. He brings two decades of experience in sales leadership, largely in the local commerce, small business and listings industries. Lloyd will provide key management in charting BuzzBoard’s growth, helping the company increase its reach, relevancy and expand its customer base. Lloyd has held several executive-level roles ranging from leading large sales divisions at public companies, to incubating new marketplace companies. While at Yahoo!, Lloyd was Vice President of Channel Sales, managing more than 1,000 sales partners across multiple digital ad platforms and networks. He also served as General Manager of Yahoo! Small Business, which provided services, including e-commerce solutions, to more than 2 million SMBs. 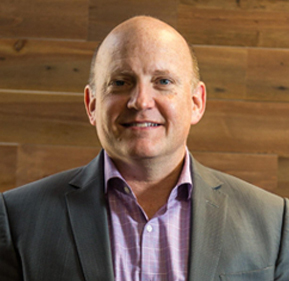 Lloyd led ad sales at the on-demand home services leader Angie’s List and most recently was Vice President of Channel Sales at the predictive and programmatic marketing leader Rocket Fuel. He began his career at the media company Knight Ridder, where he was responsible for the company’s local listings businesses, including sales at the company’s owned partners: Cars.com, Apartments.com and Careerbuilder.com. "With the growing dependence on big data and the coming use of artificial intelligence, there is an unmet need in the current SaaS marketplace for platforms and products that enable businesses to have more intelligent, targeted and effective conversations with potential customers,” said Lem Lloyd. “I’m thrilled to be joining a company that is so well-positioned to empower companies with what is the next generation intelligence knowledge platform." With its focus on applying data science to the SMB sector to generate actionable insights, BuzzBoard has experienced rapid early growth from midmarket and enterprise digital media companies seeking to empower sales teams and increase sales velocity. BuzzBoard currently works with a range of more than 1,000 companies empowering over 10,000 sales reps.
As SVP of Revenue and Business Development at BuzzBoard, Lloyd will lead the company’s expansion into new markets and oversee corporate development and strategic partnerships.